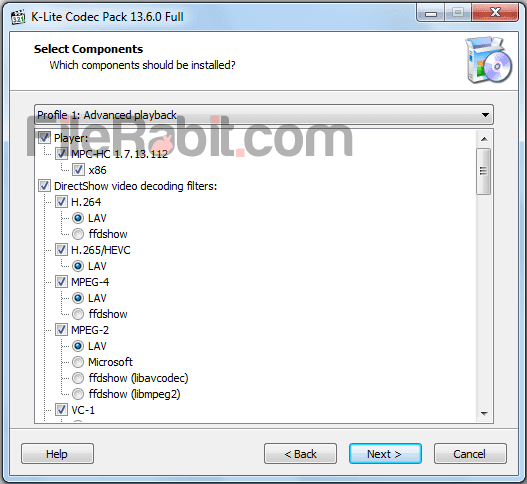 K-Lite Codec Pack has bundle of codecs used to play any type of multimedia file through DirectShow filters and VFW/ACM codecs with smooth and HD results. A rich media multimedia player that includes variety of filters which are required to play High Definition videos. An extremely simple, fast and powerful way to enrich computer with necessary codecs and filters. 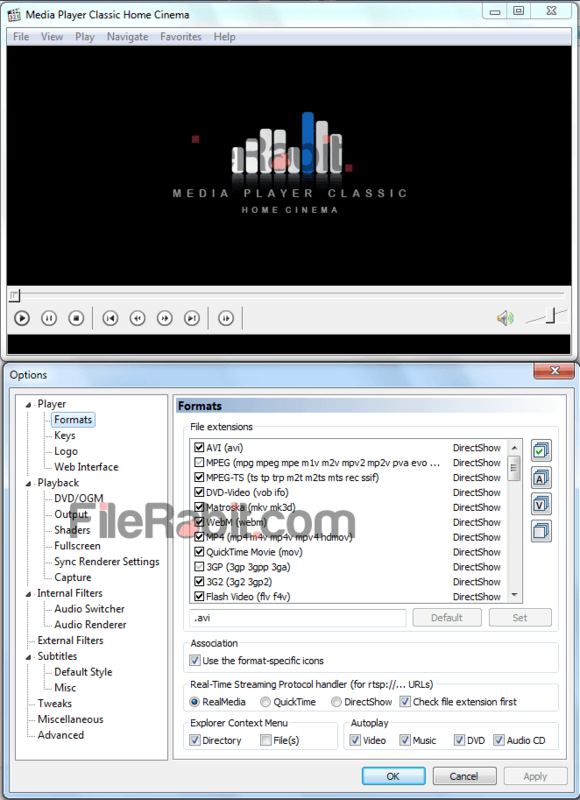 Media player classic Home Cinema is the default multimedia player that will be installed alongwith K-lite codec pack software suite. The special DirectShow filters will automatically adjust with system performance and compatibility issues. 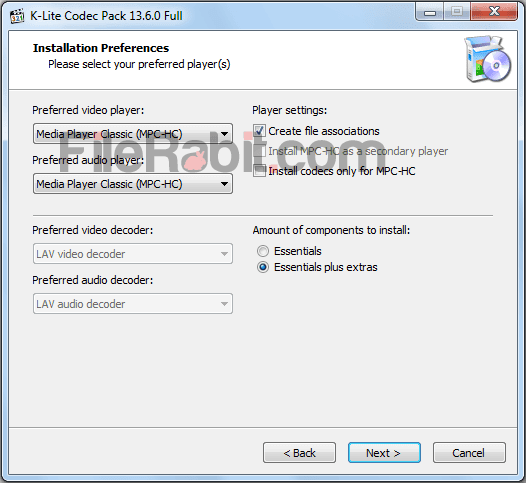 K lite codec pack mega and k lite codec pack includes both internal and external filters. Moreover, the both internal and external filters will have switchers renderer for audio and video individually. These settings are customizable and can be configured from Options (can be accessed with pressing O button). 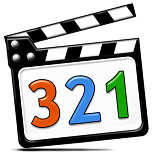 However, K-Lite Codec Pack has QuickTime, DirectShow and RealMedia codecs / filters for playback purposes. The file extension support feature will be automatically configured but can be customize through Options > Formats. Previously ffdshow and LAV decoder are multimedia codecs using by millions but later time, each of popular media player included required codecs and filters in setup. VLC, 321 media player, Power DVD, Real Player, Windows Media Player and dozens of other doesn’t need any external filters or codecs. Completely freeware and compatible with all Microsoft Windows OS’s.